I could just barely reach our countertop when my father started teaching me how to cook. Chef celebrity culture quickly became a thing in the late 90s, and my father used it to his advantage to teach me how to cook what we saw on our television. We started working on proper knife skills after we read Anthony Bourdain’s Kitchen Confidential for the first time in 2000. Bourdain was forever brutally honest about his struggles with addiction, and never sugar coated his experiences. As a chef who worked with immigrants, he was vocal about their rights, and openly acknowledged that the Latinx community was the physical backbone of the service and hospitality industries. 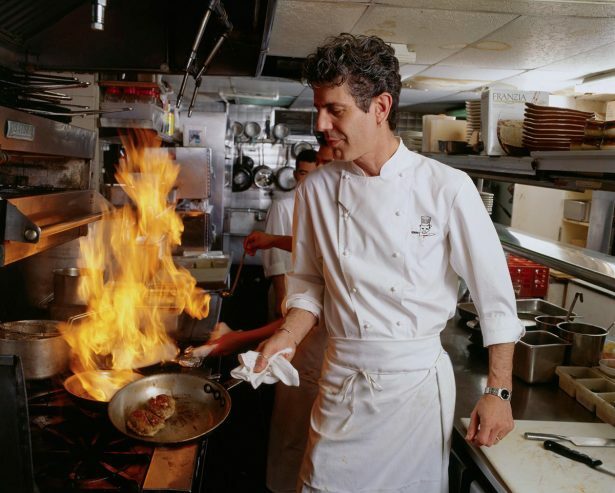 Kitchen Confidential not only made him a household name, but helped tear down what he coined “kitchen bro culture” and reformed kitchen procedures in restaurants. In his later years he became an extremely vocal ally to the #MeToo movement by refusing to just stand idly by colleagues, such as Mario Batali, who were called out on their despicable behavior. He demanded other men be better allies to women, while simultaneously dissecting his own role and how he himself could be a better ally to women. He was a man who grew up with privilege and was aware of it, but understood that he could and should use it to others’ advantage. He made it his mission to find the everyman and eat where he ate, while getting to know him better and ask about his life and how he saw the world. He was one of the few people who made it a point to intentionally go to Muslim communities with the purpose of tearing down stereotypes Americans kept. He knew that fear of the unknown was the most dangerous of all. 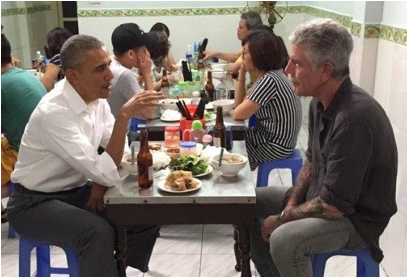 Bourdain lived to start conversations. It’s darkly appropriate that as a final goodbye, Bourdain also started one last conversation. Will America ever take mental health seriously? I want to be positive and say maybe one day, but I’m also the pessimist in the room who vehemently and loudly argues otherwise, with a scowl etched across her face. Like Bourdain, celebrated fashion designer Kate Spade passed the same week and the social media outreach contained the usual platitudes. It all regurgitates the same very dangerous and unhelpful trend of victim blaming that our culture has become disgustingly comfortable with. The blame is always shifted onto the victim instead of anywhere (not anyone) else. For years and years, it was focused on the rhetoric that demonized these people as selfish instead of clearly in need of help. Mental health is a complicated, enigmatic concept. We’re told from the start that it’s okay to be vulnerable, to reach out for help or reassurance, but as soon as you do, you’re put down for being “weak” or “needy”. Human beings need help sometimes. A lot of the time. We struggle to accept that sometimes, horrible things happen. We’re quicker to cherry pick things that we think we can argue are more in our realm of control, like addictions or depression and anxiety. Any viral Facebook meme will tell you that the key to curing depression is a walk in the park and a baby corgi. Unfortunately it isn’t that simple nor easily wrapped up. If someone tells you they have cancer, they are quicker to be supported and have people actively reach out to check on their well-being. If someone tells you they have depression, the reach out is a lot more sporadic, if at all, and sometimes met with a, “Well, I’m here if you need something.” We tend to look at things like depression as things we can control, so when people who supposedly “have it all” end their life, it is usually met with anger or confusion, whereas if they had cancer, it would have been nothing but sadness. 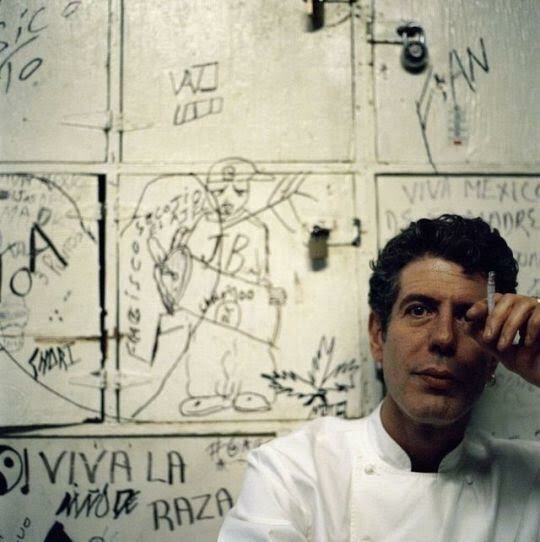 Bourdain was also proof that despite what we choose to believe, depression and addiction are not prejudiced. Mental illness doesn’t care if you are rich or poor, male or female, or where you are, it just grabs you. It just holds on like a demon on your back sinking its claws into your flesh. It just holds on. The phrase that gets listlessly thrown around is, “We need to do better.” We need to stop saying it and just do it, because at this point, the phrase means nothing. We have to stop saying things and actively be better for our friends, family, and peers. And we have to do so much more than just obligatory check ins. We live in a society where we refuse to allow people to be vulnerable. The gut reaction and answer when someone asks, “Hey, you doing okay?” is,“Yeah, I’m fine.” We’re not fine, though. It’s not enough anymore to be half-assed allies to each other in order to gain metaphorical gold stars and brownie points with each other. We’re losing each other and we have to make it stop. We have to shut down the stigma around mental illness, and we have to start doing it now. In 2016, over 45,000 suicides occurred in the United States, was double the number of homicides that year. The number is significantly more staggering in rural states, such as North Dakota, where the number rose to 57 percent. Nevada, however, had record a decline of 1 percent. Suicide is now the tenth leading cause of death overall in the United States, according to the Centers for Disease Control and Prevention. With all that said, we may be at least on the right track. This past Sunday, New York and Virginia were the first two states to require mental health education in schools. Virginia’s law will require that mental health education be included in the ninth and tenth grade physical education and health curricula. Virginia Senator Creigh Deeds is who we have to thank for sponsoring Virginia’s bill. He was inspired by listening to a presentation by Albemarle County high schoolers in 2017, and the death of his son, Gus Deeds. Gus died by suicide in 2013 after he was released by a hospital because there were no open psychiatric beds anywhere in the western part of the state. Deeds’ legislation is a good start, but it won’t be enough on its own. Talking about suicide and mental illness is difficult, but we can’t get past the stigma if we don’t. I don’t have all of the answers and I don’t know anyone who does, but what I do know is that we need to start doing better for ourselves, and for each other.